Research shows there is a relationship between oral disease and other health problems such as diabetes and certain kinds of pneumonia. There may even be a link between oral diseases and heart disease and stroke, as well as premature and low birth-weight babies. As part of a healthy lifestyle, practice good oral hygiene and have your mouth examined regularly by your dentist. Only your dentist has the training, skill and expertise to identify and address your oral health needs. If you do not have a dental plan and cannot afford to pay your entire bill at once, ask your dentist about a payment plan. If you cannot afford care, even with a payment plan, contact your nearest social services agency, provincial or territorial dental association or dental school. So put a smile in your body and follow up. You can also visit the Canadian Dental Association for more information at www.cda-adc.ca. Remember there is a connection between good oral health and overall health. April is National Oral Health MonthTM so talk to your dentist about the reasons why. More information is available on the Canadian Dental Association website at www.cda-adc.ca. Our mouths are part of our bodies, not something separate. So it makes sense to care for our mouths the way we care for our bodies. Not only will our bodies thank us, the health care system will as well. Research shows there is a connection between our oral health and our overall health. The Canadian Dental Association (CDA) says there is a relationship between oral disease and health problems such as diabetes and certain kinds of pneumonia. The CDA says there may even be a link to heart disease and stroke, as well as premature and low birth-weight babies. The more we care for our mouths, the less chance we have of burdening the health care system. It only makes sense. Call your dentist and visit the Canadian Dental Association for more information at www.cda-adc.ca. From toothbrushes to mouthwashes, oral care products bearing the Canadian Dental Association (CDA) Seal of Recognition have been reviewed by the CDA and have demonstrated specific oral health benefits. For a list of oral health products recognized by the CDA, visit www.cda-adc.ca. Canadian dentists are seeing more and more patients with dental erosion. Dental erosion occurs when the hard part of the tooth wears away from direct contact with acid. Dental erosion can be caused by certain health conditions such as stomach acid problems and eating disorders, but eating and drinking foods high in acid such as sport drinks and soft drinks can also cause teeth to erode. April is National Oral Health MonthTM. To learn more about dental erosion and other oral health concerns, talk to your dentist and visit the Canadian Dental Association website at www.cda-adc.ca. As part of a healthy lifestyle, practice good oral hygiene and have your mouth examined regularly by your dentist. 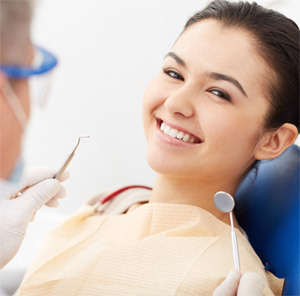 Only your dentist has the training, skill and expertise to identify and address your oral health needs. To learn more about your child’s oral health, talk to your child’s dentist and visit the Canadian Dental Association website at www.cda-adc.ca.